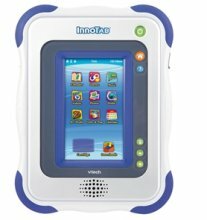 UK supplies of the vTech Innotab are currently good. The period October to December 2011 saw this as the most popular hot selling items for kids that Christmas, with stock often selling out in literally minutes. For email alerts, register your email address or login via your existing Facebook account. Our systems check retailers websites every minute, ensuring you can find the best prices available. Our servers are constantly checking for InnoTab stock, so you don't have to. The VTech Innotab Tablet is a fantastic learning tablet computer for kids that works just like a real tablet. Develop your childs core skills in maths, spelling, reading, creativity and logic with many interactive game activites. The eBook reader allows books and stories to be read whilst the art studio copes with the most demanding of drawn pictures. Additional applications include interactive globe, video player, photo viewer, plus parents can download additional game and learning applications. Innotab is compatible with the Kidizoom Range of products and requires two AA batteries (not included). The box contains the Vtech Innotab Console, Instruction Manual, USB cable and stylus pen. For additional security, the Innotab has no internet access and needs to be connected to a PC via a USB cable to download additional apps/photos, thus ensuring complete parental control. "I know it's late, but thanks for helping source Innotab for Christmas. Managed to order for delivery to my local Tesco. Phew. Reminded me of the Cabbage Patch debacle in the '80s! Thank you very much!" "Thank you for your wonderful service. Today you have advised me of the return to stock of the VTech Innotab at the Early Learning Centre when they have a special offer. Your updates since I signed up and have spot on. I will use this service again. I know my son will be especially happy on Christmas Day opening up his VTech Innotab." "Fantastic service. 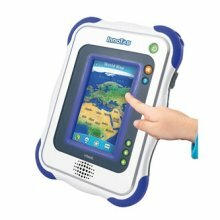 I wanted a pink innotab for my daughter for Christmas and they were out of stock everywhere. Thanks to this service I could follow the Argos delivery lorry as it went round and reserved and collected one from a local store. Would reccomend it to anyone. Thanks"
"I can't praise this website highly enough. Within 2 days of subscribing I had successfully ordered the elusive pink innotab that I had been chasing for weeks. I only wish I had known about stockinformer.co.uk earlier but please don't spread the word too much otherwise I will lose my secret weapon!"